Hanoi (VNA) – Prime Minister Nguyen Xuan Phuc has issued Directive 09/CT-TTg, specifying solutions to remove obstacles to production and business activities so as to achieve this year’s growth target. In this directive, he made clear that the gross domestic product (GDP) growth rate of 6.79 percent in the first quarter of 2019 was lower than the predicted scenario. Difficulties hampering economic growth have appeared, he said, noting that the expansion of processing and manufacturing has slowed down; the export of some key commodities has dropped; the disbursement of public investment capital, especially for major projects, has yet to meet expectations; while animal diseases, particularly African swine fever, have become complicated. 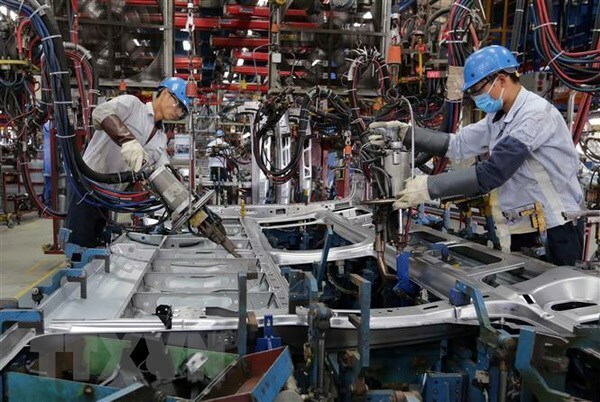 Therefore, to attain this year’s growth target of 6.8 percent, tasks for the remaining months, including tackling hindrances to production and business and promoting economic growth, are “very heavy”, requiring stronger efforts by all sectors and authorities at all levels, PM Phuc emphasised.